I’m going to be honest with you, my friends – I mostly like the title of this blog post because of the alliteration. I can’t lie about that – I think alliteration is becoming one of my favorite things for no apparent reason. Somehow it just feels good rolling around in my brain. I felt the need to get that little gem out of the way before getting down to the business at hand of today’s post. My last post on dinner with my Mom has been part of my overall thinking on how to get less complicated about life in general. It’s a trend for me the last few years and my success rate with it, while not perfect, is improving. Part of the reason I feel I am getting some traction on un-complicating things for myself is that I see people making things far too complicated, seemingly every day. The oft-quoted notion of analysis paralysis is prevalent everywhere I look. I don’t think that’s surprising – life itself can throw a lot of variables at us and there are many things we cannot control. By delving deeply into everything in a non-stop fashion, perhaps we feel there is a certain level of control that returns… or at least that we improve our chances of getting things right. Whatever that means. I am trying to detach from that way of thinking as best I can. Now, I surely enjoy reflecting and thinking, so I don’t want it to seem as if I only believe in all action, all the time. Perish the thought. Instead, I am against using over-analysis as a replacement for taking some damn action once in a while. The analysis paralysis problem is that it seems to get to an idea that if we just spend a little bit more time wrestling with the problem, gathering more data and re-framing the argument for the hundredth time, we will achieve perfection. Since I believe the perfect is the enemy of the good, I don’t worry much about perfection. 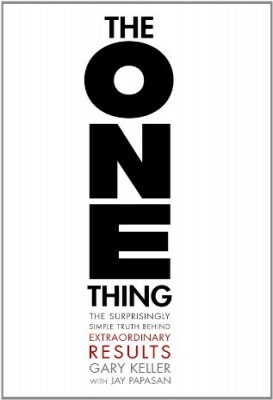 This is a big part of why I am so thoroughly enjoying a book by Gary Keller, The ONE Thing: The Surprisingly Simple Truth Behind Extraordinary Results. I could spend many hours describing it, the methods of Keller’s system and such, but suffice it to say, it really is about… well… one thing: creating success by winnowing down the focus of your energy and talents to the one thing that will either make things easier or every other action unnecessary. But Keller’s point is compelling in that we often believe success is about adding more or doing more when often, it’s about focusing more and saying no more. Like, A LOT more – something I need to work on as a consummate people-pleaser. So today I took up his advice to focus on something that is a big thing to me (this blog), did it at a high energy time (first thing this AM) and have creating this little morsel of goodness for your consumption. My hope is that it’s a tasty one, but that is yours to judge and not mine… especially since I think all of my stuff is worth a nibble or two. With that, I leave you with a question: What would be the one thing you would focus on today to make things easier for yourself? That thing that you would protect and not let time thieves pilfer from your day? I take a lot of pride in this here blog. Every post I write very much comes from the heart – what I write here, I mean and believe. But here is something a little funny about the blog. Friends of mine who mention the blog to others who haven’t read it will turn to me and say, “Kev, tell them what your blog is about.” And you know what I inevitably do? I pause… like, for a while. Not the thoughtful pause of a man with great wisdom who is merely taking a moment to let the listener pull closer before he unveils the truth of the universe. Oh, how I wish. So in the interest of having a more well-constructed answer than my typical response of “Well… it’s about a lot of things…” (a real crowd-pleaser, by the way), I will seek to answer in this post. I am a very strong believer in the idea that every person must have core principles they hold very dear which guide them through life. This doesn’t need to be a massive list – in fact, it should be purposefully brief so as to avoid conflict, confusion and doubt. This blog is a reflection of a few of my core views of life: (1)we are each made up of equal parts mind, body and spirit; (2) a lot of life is thoughtfully developing these things over time; and (3) the development of each of these can have a hugely positive impact on the other parts. Will I be able to handle it? What happens if I screw up? How will I handle that gnawing fear in my gut that this lift is going to go straight to hell and take me to the floor in the process? Will I be afraid to try again if I fail? If I succeed, how do I keep progressing? Vasiliy Alekseyev – One powerful dude. A great example is a story I’ve heard numerous times about Vasiliy Alekseyev, one of the greatest Olympic weightlifters of all time. He was stuck on one of his lifts at a particular weight – no matter how many times he tried it, he simply could not seem to complete the lift at the weight in question. So, when he went into a competition, his coach had him lift just below at what that weight was… except that’s only what he told Vasiliy. 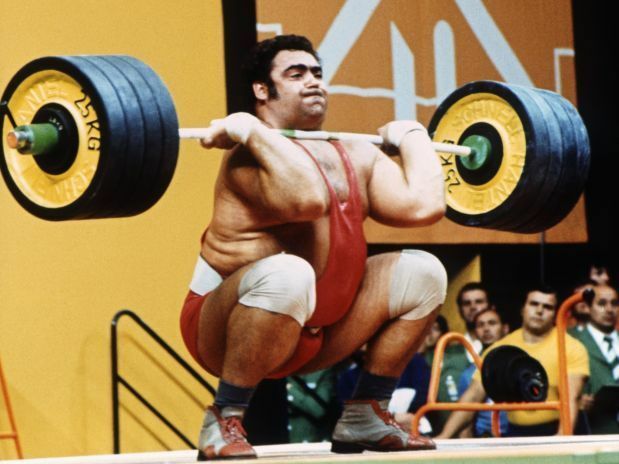 In reality, he had the bar set with the weight Vasiliy had never been able to lift. Up to the platform this giant of a man steps, grabs the weight… completes the lift. Was he physically any different at that moment? Of course not. He was mentally stuck about what he could and couldn’t do, so it took a little trickery from his coach to get him past that seemingly insurmountable set point. So what does all of this have to do with Fierce and Mighty? Oh, I have the answer for you (umm… which is most of the reason I asked the question – I don’t want to look like a complete maroon, ya know). It can take the success of a physical act to get you to see new potential in yourself, not just in the weight room or the track or the pool or the field, but in your entire life. When you can demonstrate to yourself time and time again that you can break through your own preconceived ideas of what is possible, the carryover to other parts of your life is absolutely striking. That’s what this blog is about more than anything else: my personal journey on the path to developing body/mind/spirit in equal parts, learning something in the process and sharing all of it with you in the hopes you may find benefit as well. I may give advice here, but it always comes from a place of my own steps to follow that advice too. So that’s Fierce and Mighty, described as best I can. Now if I can just figure out how to explain that to someone in 10 seconds or less in a conversation, I might really be onto something. A few weeks back I was pondering what would be needed to get this humble blog of mine in front of a few more eyeballs. As someone who checks the data on his blog fairly regularly, I can get a decent sense as to whether folks (like you, good reader) are roaming over to my cozy section of the Internet to feast their eyes on my written offerings. I get some spikes here and there, but not the consistent increase over time I am really hoping for… at least not yet. As I pondered what I needed to do differently and feeling just the slightest bit sorry for myself (cut me some slack… it happens), an e-mail rolled in that clearly changed around my day. The e-mail was from a woman in New Zealand who happened to find my blog while Googling “acerbus et ingens”. And get this… she likes the blog. No… seriously, she does. I am 99% sure she wasn’t just screwing with me. The Kiwis are a fabulous people, so I think this is straight-up legit. 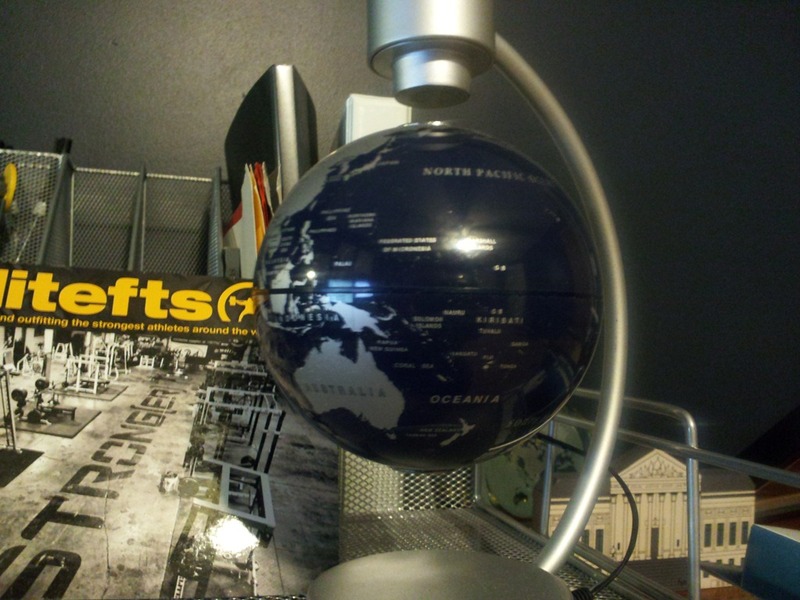 New Zealand… as shown on my snazzy floaty globe. Well, sorta shown. Right there beneath “OCEANIA”. Her e-mail was pretty incredible in terms of the chaos in her own life and that of her neighbors over the span of the last year with the earthquakes in New Zealand. If anything can put life into quick, sharp perspective, it’s massive natural events that are beyond human control. It’s hard to feel all-powerful when Nature decides to get rambunctious, to say the least. 1) That everyone can connect with others in the world… and sometimes at great distances. I don’t mean this as some kind of pat-on-the-back statement at all – my new Kiwi friend found my blog enjoyable and rather amusing, so I am not saying that she found each carefully crafted sentence of my blog to be a life-affirming event for her… umm, but if she wants to write me another e-mail to that effect, I really wouldn’t mind all that much. But somehow, some way, I wrote something that at least connected with a person I’ve never met in a country I’ve never been to. Think about the impact you can make even more easily with the people you come in contact with every day. 2) Kia kaha! Umm… come again, Kuzia? Kia what-a? The close out to her e-mail to me was “Kia kaha!” which she explained is Maori for “stay strong”. Now, besides the fact that it is a double-K phrase (which matches beautifully with having a double-K name, hence my fandom is fully established), it’s also such a short, punchy and beautiful way to say something so incredible powerful. Stay strong. A bit amazing to get a message from a complete stranger with a message in Maori to stay strong, no? Especially during a moment of sneaking self-doubt? So to my friend down in New Zealand… you probably never realized how well-timed your note was, but for that note, I thank you for getting me turned around in the proper direction on a day when I felt the sticky resistance of frustration snagging at my feet and preventing forward momentum. Truly and deeply appreciate it. For those who have not seen it, I have an article published over at EliteFTS.com entitled “The Battle to Take Back Awesome”. Just went up on Friday and I am both proud and humbled by the whole thing. I had a few pieces over at T-Nation from a few years ago, but this is my first one for EliteFTS and it’s a pretty big moment for me. It seems to be well-received thus far and I am planning on submitting more going forward. Please give it a read and comment on it if the mood strikes you. Also, I do have a Facebook page for this blog, so feel free to follow along there as well. You can find that here. 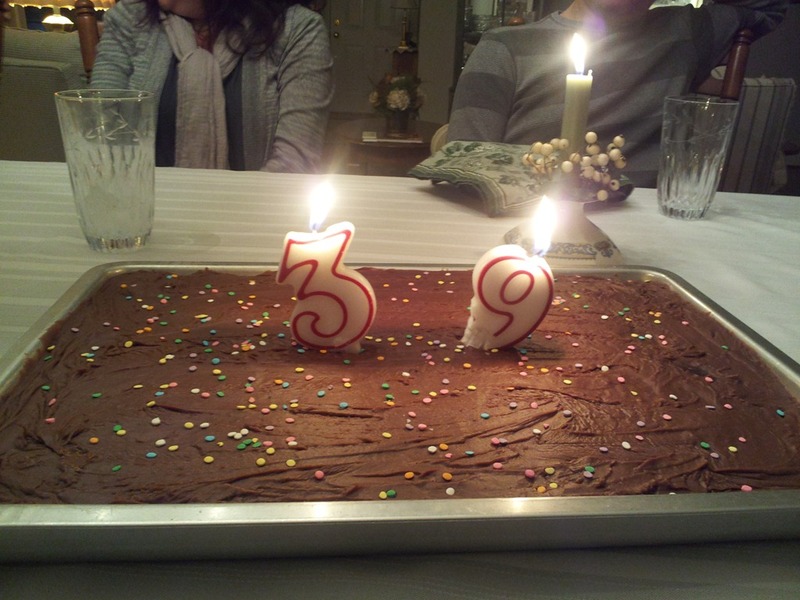 I spent some time with my family today to do a little birthday celebration for me one day early. The work week always tends to bring on a lot more mayhem that I would really like, so today was optimal for everyone. I’m sure someone just read that previous sentence and thought, “Who in the world likes mayhem?” Actually, I do… sometimes. 24/7 mayhem is not my cup of Earl Grey, but a little bit of randomness and something to keep me on my toes? I’ll take some of that on occasion. Helps me stay a little fresh. It was a little strange to think about being 1 year and 1 day shy of 40 years old and even weirder for me to think I’ve lived in 5 different decades. Some may think that by virtue of age, they are qualified to sit back and expound all sorts of wisdom to the masses. Hmm. I’m always a little suspect of that since time has the potential to bring some wisdom, it’s not a guarantee. And you certainly know the guy/gal who feels it is their place… no, their sacred duty to share the pearls of wisdom they’ve gleaned throughout their life… and yet they have about as much of Solomon’s wisdom as a piece of stale rye toast. And that made me think a bit about this very blog. No, seriously. I hope I do a little bit of good with this blog (which is sorely in need of more posts), but as I drove home from my birthday feasting, I wondered, “What is it that brings people to my site in the first place?” Some of you are family or good personal friends, but I also know there are people out there I have never met before who come here too… and frankly, I would love to get a lot more of you to show up on this little cyber parcel. In this kind of reflection, it can be truly easy for me to lump myself and my blog away as trivial. There are plenty of bloggers out there writing on how to improve your life or lift weights or reflecting on what it means to be human. If I were to look at that vast sea of writers without any context, it would be incredibly easy for me to throw my hands in the air and never write again. But I do keep writing for a pretty simple reason: none of those people are me. That’s not a cocky statement to imply “None of those people are me… and damn it, there’s no way in hell any of them are nearly as FREAKING AWESOME as me! YEAH!” Perish the thought. Rather, none of those people are me, hence none of them can bring my perspective and I actually think I have something to share in that regard. So share it I will. Plus, now that I’ve begun this writing, I’m not sure I can stop… and I really wouldn’t want to. I’m a person who is keenly driven by purpose. When I feel I lack purpose in any part of my life, that area will suffer, guaranteed. If I see some action as fitting into a bigger plan or a grander scheme or just something bigger than me, then giving it my all is never work and it’s a pure pleasure. That’s where I find my meaning, my mojo and my moments. And my alliteration. Clearly. So as the page drops off the calendar and I officially drop onto the 39th anniversary of my day of birth, I thank anyone who reads these words… for my purpose is not just to explore all of this for my own sake, but to truly hope that you get something out of this too. The incredibly clever title of this post stems from the fact that it is a Sunday night and I am typing these words from bed. Sometimes I get creative and sometimes… well… it feels like enough to just state the obvious. Tonight is most assuredly the latter. A few random items on my mind, none of which felt like I currently had enough mental horsepower to transform into full blog posts. 1) My first New Year’s Resolution for 2012 will be to completely avoid negative people as much as humanly possible. Honestly, I’m not really waiting for January 1st to kick this one into high gear. As a generally positive and optimistic character, my patience for the chronically negative is short and gets shorter every year. See yesterday’s post on “My Worst Day” to get an idea on why the eternally whiny cause me to spin on my heel and head in the opposite direction. – going to museums (something I am really whiffing on big time and yet I ALWAYS enjoy them when I go… which immediately begs the question of why I don’t go more often and for which I have no good or rational answer). I don’t include exercise on this list because I do that with regularity anyway. However, this list gives me an interesting view of where I need to spend more focus to reap more benefits. 3) At the end of many weekends when I’ve gone a few blissful days without a razor touching my face, I give thought to letting some matter of beard grow in. You know what stops me? 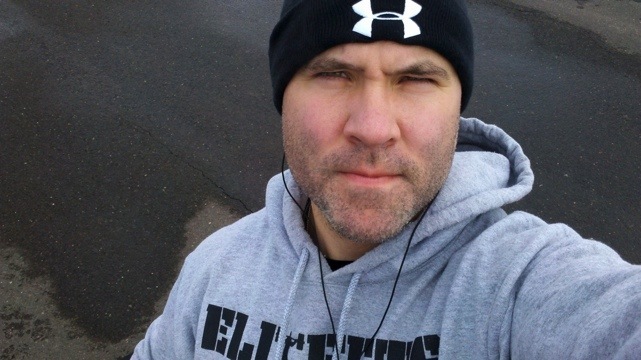 It’s a combination of (a) pure vanity; (b) liking how I look clean-shaven (while hating the actual act of shaving); (c) itchiness; and (d) the fact that growing a beard has suddenly become a “thing” in the lifting community where you are somehow not fulfilling your manhood potential if up are not sporting a full-on Grizzly Adams special. In the interest of full disclosure, rebelling against (d) should not be a very strong reason to avoid growing a beard, but it is shockingly compelling for me. I hate the idea of doing it because someone is basically challenging my manhood if I don’t. But I do look ruggedly handsome when it starts to come in. I mean, that’s just objective fact. Like gravity… or the deliciousness of Chik-fil-A. Don’t question it. At the risk of diluting what I am trying to keep going (get going?) with this blog, I decided to get a little sumpin’ sumpin’ set up over at Posterous with a Fierce and Mighty flavor. Posterous is a ridiculously easy way to do a blog or just share photos, videos, random updates or whatever else on-line and you can do it just by sending along an e-mail. It’s incredibly slick – if you send along an attached photo, it neatly pops it up with your post. If you send multiple photos? POW! A snazzy little gallery is created. Send a YouTube link? Boom goes the dynamite – you get the video embedded on the page. Enjoy. Perhaps one day I will come up with a way to integrate these two areas together a little more tightly. So here she be in all her glory. My new toy – a 15″ Apple MacBook Pro I ain’t gonna lie… I love this sucker. The more I use it, the more I like it and the more I come to appreciate some of the smalls ways this computer handles certain tasks so well. The previous post was the first one to use the new computer and to follow up on my promise to myself to keep this blog moving in the right direction once I got my new gadget. Here’s to hoping for good things to follow! 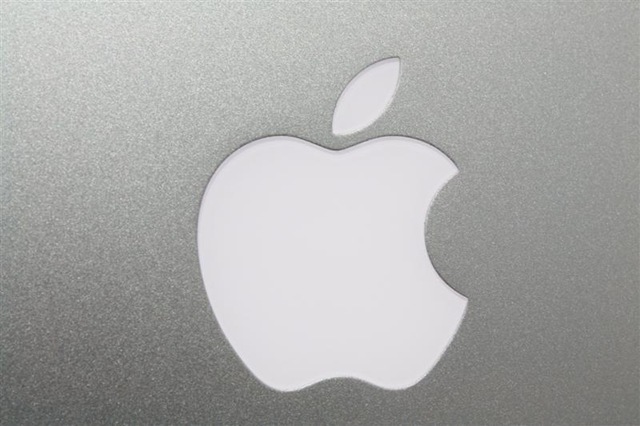 And anyone who has any tips or cool software I should get for a Mac (especially for blogging), please let me know. Since I started this blog, my real goal was to hit one post per day and try to keep that up over time. Clearly that has not happened and of late, it’s lucky when I get one a week. So what to do… what to do. Well this here guy decided he would fix this problem the old-fashioned way: self bribery. In case the photo above is not glaringly obvious enough, I am getting a new computer and it’s going to be a Mac. ‘Twas no easy decision for me as the son of 30 year IBM employee. I was there during the heady early days of home PCs when the mighty IBM PC was battling it out with the Apple IIe. It was a pitched and vicious battle, for sure. The deal I made is that this would be the tool through which I build this blog and my overall on-line presence… umm, which is basically this blog and my Twitter account. I have told myself with a powerful laptop, I will be able to blog and do all this groovy social networking anywhere the moment I am struck by the muse’s song. I think this will be true for the most part… but I also know a decent chunk of me just likes having a new toy to play with. So I am expecting more posts on a regular basis to coming flowing from my gray matter down through my fast-typing fingers (seriously – I am uber-quick) and onto the Interwebz for your reading enjoyment. 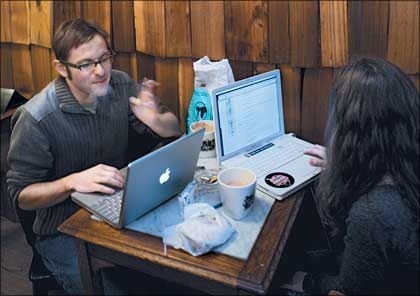 Now excuse me while I Google the best coffee bar to take my MacBook and fully immerse myself in my new hipster persona. I’m writing the great American novel and pontificating on all things cool… obviously, you bourgeois swine. Welcome to Fierce and Mighty, my little blogging home. This is the second incarnation of this blog so if this your second go-round, thanks for coming back and if this is your first, glad to have you aboard. My first shot through this was to detail the progress of a recent weight training and diet program I was on that took me from a strong 202 lbs. to an equally strong (and far more fit) 186 lbs. As fine and well as all of that experience was, it was severely limiting to me from a writing perspective because every post was only about my diet, my conditioning work or strength training. As near and dear to my heart as all of these topics are, that’s just not enough to satisfy me as a writer… or as someone who feels compelled to blurt stuff all over the Internet. Six of one, half dozen of another. I have been on vacation almost 2 weeks now and I have been spending a big chunk of that time just thinking. It’s funny how I never dedicate much specific time to quiet thought, but whenever I do it, I find myself profoundly energized. I knew with the break I had for Christmas, I needed to make good use of the time, recharge the mental batteries and figure out how I wanted to get 2010 started… and this blog is a result of all of that. If there has been one constant theme to my contemplations of these past 2 weeks, it’s been on the notion of figuring out what my personal passions really are. Doesn’t that sound kind of odd? Shouldn’t you just know what your passions are? But if you actually stop to take the time to think about your true personal passions (not just the things you kinda like), it can be a lot trickier than you would anticipate. I found a great deal of help in reading Pamela Slim’s excellent book Escape from Cubicle Nation: From Corporate Prisoner to Thriving Entrepreneur which proved to be an excellent guide for the whole process. And that’s when I had a moment of clarity about what I really and truly enjoy… the thing that excites me and inspires me. I truly enjoy the process and ideas involved with how people better themselves and strive to be more, whether through physical, emotional, intellectual, work-wise improvements. This has always been meaningful for myself, but it was the moment of clarity that made me realize how much I like being a part of helping others with these types of goals. I enjoy being the catalyst for others or the sounding board for those who are knee-deep in the process. It’s great to engage with people on a personal level in trying to help them with their goals, dreams and aspirations. What I also realized is that the idea of “bettering yourself” should never be limited to the achievement of money or status (although that is fine too) but really about achieving whatever positive goals and dreams you have. It’s also not really meant to be some piece of the Western obsession of never being satisfied with what we have and needing to get more and more and more. Your positive goal (and mine really to a certain degree) could be to strip away the needless and flashy to achieve a more authentic life experience that is tied less to a snazzy title, a luxury car or a premium ZIP code. Where does this blog fit into all of this? Fairly simple: I will use this to detail my own trials and tribulations along my own life path and to share a few nuggets I find along the way. I am fascinated with how we, as human beings, can live a life that is a little more integrated and balances mind, body, heart and spirit into a cohesive package. So, I will write about strength training, but it will not be concerned just with getting physically stronger, but the carry-over that strength brings to the rest of your life (still one of the most underrated aspects of strength and conditioning)… or I will write about a great book that satisfies both the mind and the spirit… and sometimes I will just write about more singular aspects of life. It’s all interesting to me and hopefully will be to you. Thanks for coming along. I am looking forward to the writing, but even more to engaging with anyone who reads all of my nonsensical ramblings along the way. Hey, I may take the topics and thoughts seriously, but never myself. That’s just crazy talk, right there.